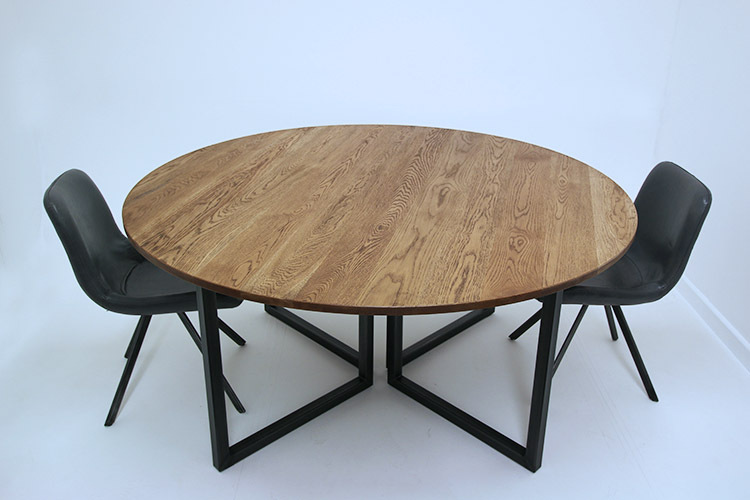 Looking for an industrial round table for the home or office space? 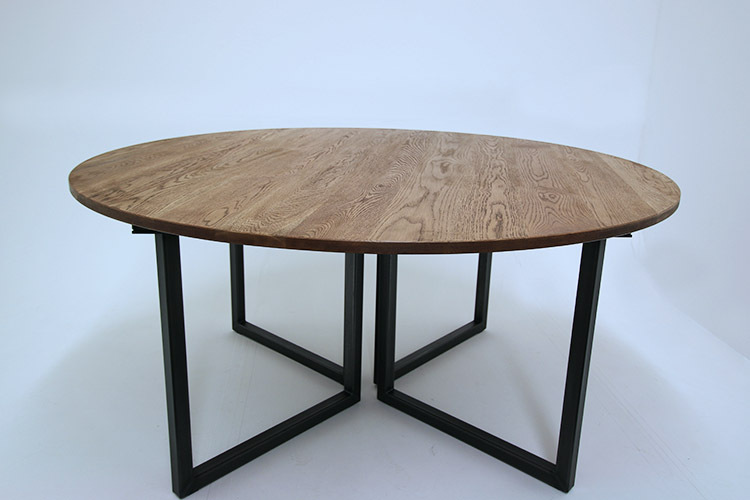 We have designed a vintage circular table which can meet your requirements and can be customised with steel and oak options. Interested in a bulk order? Contact us for more details. A luxury vintage circular table is the perfect addition to any home or office space. This particular design is 1600mm is diameter and made to seat 4 people. This design has the exact same concept to our Remington range with the frame and leg design matching. For office use we would recommend a few cable holes towards the centre of the table and include cables tidy trays. These are available to purchase as added extras online. We also have a showroom within our workplace which you are welcome to come and view examples of our industrial round tables. The oak shown on this example above is Antique Oak in a solid one piece style. We offer a number of different oak styles including planks, solid one pieces and distressed looks. 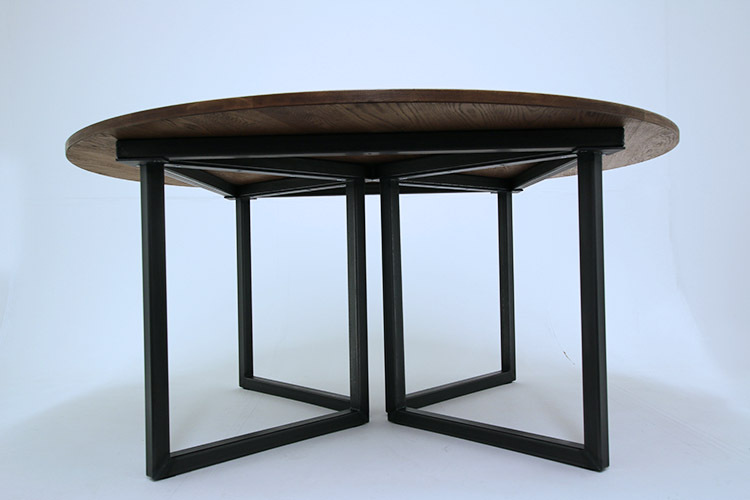 Planks would be available for a square shaped table but not in this circular round style. We also offer a number of different oak colours which you can choose from. View our full range of oak and steel options. Oak samples are available if you would like to see them first hand. Purchase a sample pack online. Every vintage round table is handmade to order in our workshop in Derby. The steel options come in four styles: Mild, Charcoal, Brushed Stainless or Stainless. We also have a wide range of appealing Powder Coated colours available. The steel shown on this product is Charcoal Steel. Steel samples are available if you would like to see them first hand. Purchase a sample pack online. Purchase a sample pack of powder coasted steels. The frame shown on this example is detachable which enables easy access to into any building and is simple to assemble with bolts.